A friend (and client) of mine sent this to me recently. Thanks Wayne!! While it has little to do with SEO, PPC, or Content Marketing, I felt it had some really great points and wanted to be sure to share with everyone. I’m unaware of the original author, so please forgive me for not providing the proper credit. Here it is… Texting For Business. Texting can be a powerful tool. read within three minutes of being received! 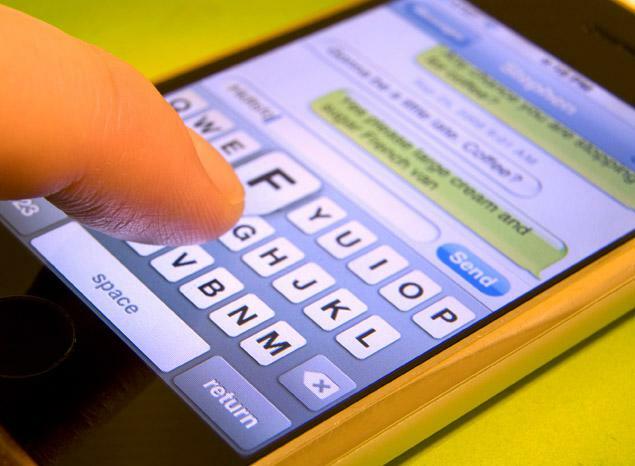 90% of people prefer texting over other forms of communications. Texting can be a great tool for building a great relationship with customers. Mass text marketing can result in a customer blocking your texts. Building the relationship and having a quick, efficient and convenient way to communicate with your customers is critical. Avoid using texting for marketing. Many clients do not want to be interrupted with a call. Don’t ask detailed questions through SMS. If you need detailed information, text and ask for a good time to call. Only send text messages with information that is important and concise. Sending a complete paragraph of information, which will be difficult to read and review on a phone, will sometimes overwhelm and frustrate the client. Sending unexpected text messages can quickly lead to unhappy clients and missed messages for those who don’t use text messaging often. Be sure to always ask the client for their preferences upfront. If you are going to text, make sure you adhere to grammar rules. Don’t use abbreviations like “ur” for “you’re” or “your” just because it is easier. Moreover, don’t send LOLs, J, thx, f/u, becuz or any other grammatical or stylistic faux pas just because you can or because you think that, since you are texting, it’s okay to be lazy. Say what you mean and present yourself as a business professional. You don’t want to throw in a ttyl and come across as a texting junkie or, worse, a teenager. IF YOU DO THIS, YOU LOOK LIKE YOU ARE YELLING AND IT COMES ACROSS AS RUDE, INAPPROPRIATE, UNCOMFORTABLE TO READ AND UNPROFESSIONAL. If you wouldn’t send an email in all CAPS, don’t send a text message that way. Ultimately, nothing is so urgent that you cannot take a couple extra seconds and ensure that the message is written properly and according to professional business and grammar standards. Be proud of the messages you send and the information you are imparting. Check for misspellings, missing punctuation, improper or inappropriate abbreviations and acronyms and rest assured that your message is received the way you want it to be. Remember, this rule even applies to email. If you think something might come across as angry, sarcastic or inappropriate, it is always best to pick up the phone and call. Speaking to someone will save you a lot of heartburn and worry if you press send and then start to stress about how the message will be interpreted. With texting, you can be quick and to the point, but never overly informal. Tone can be lost or easily misinterpreted in text messages. Try to use the same tone of voice you would use in an email or face-to-face meeting with the client. Email is easier to maintain a paper trail and should be used for more formal discussions such as contract negotiations and details. You should also be wary of discussing financial information via text. If you prefer to communicate during business hours, only send and respond to messages during those times and make your client aware of those hours. Just because you have someone’s phone number plugged into your smartphone doesn’t mean the receiver knows your phone number. In order to dispel and prevent confusion, include your name in your message. NEED SEO FOR YOUR SMALL BUSINESS?